Grass is a living organism so the lower you cut it, the harder time it will have growing and obtaining nourishment. If you water too much it essentially is drowning your grass. If you want to keep your lawn healthy and alive, water on a regular schedule with a few days in between. Different climates and locations require different types of grass. 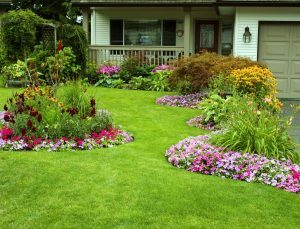 Make sure you are using the proper type of grass for your landscaping needs. Call us today and schedule your summer service! Our team is trained to prune and trim hedges and shrubs properly to provide a good cosmetic appearance and overall well-being of the plants. We can also remove and or transplant trees, shrubs, and hedges to you liking. So, sit back and relax during the summer because we have you covered.